In 2010, Forbes reported on the Most Valuable Teams in Sports. Should they be sold, we’ve no doubt they would be some of the most expensive sports teams in the world. Will 2011 bring a change to this list? We’ll see. 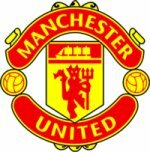 England’s Manchester United is a Premier League club and the most valuable football club (that’s soccer on this side of the pond) in the world. That’s probably due to the team’s 18 league titles, four Football League Cups and 11 Football Association Challenge Cups, and the skills of legendary players like Sir Bobby Charlton, Denis Law and Jack “The Gunner” Rowley. 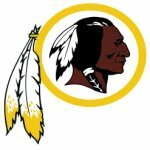 American football’s most expensive team, and the most valuable team in American sports history, has a record number of Super Bowl appearances and, beginning in 1990, sold out more consecutive home games than any other NFL team. Cowboys who took their place in the Pro Football Hall of Fame include Super Bowl MVPs Chuck Howley, Troy Aikman and Emmitt Smith. The New York Yankees have a long and storied history as a team that produces legendary players. Forty-four Yankees have been inducted into the Baseball Hall of Fame, including such players as Lou Gehrig, Joe DiMaggio, Mickey Mantle and, of course, Babe Ruth. 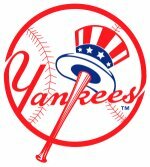 According to the first Annual Review of Global Sports Salaries, written for sportsintelligence.com and covering the salaries of 211 teams in 2009, the average Yankees player makes just under $7 million annually, while their highest-paid player, Alex Rodriguez, makes over $30 million. The Yankees were paid so much, in fact, that they had to pay a $23 million luxury tax to the MLB.